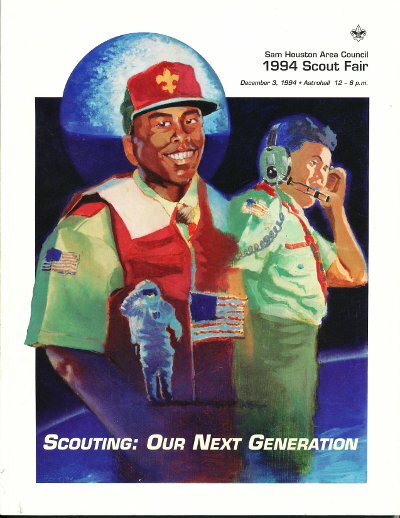 The guide listed all Eagle Scouts minted since the prior Scout Fair. College? Check (and then some!). Scoutmaster? Maybe in 6 years? He claims that a Republican senator asked for his health reform proposal. Too bad it’s remarkably ignorant. This is a colossally ignorant proposal. “There are an estimated 10 to 20 qualified applicants for every vacancy available in U.S. medical schools.” Hogwash! Having known several applicants to medical schools, there are plenty of spots for qualified applicants. Even if many don’t get in, the simple answer is there isn’t enough capacity, so of course med schools are going to choose the best and brightest. I want to see more evidence of some conspiracy before I buy into this. Otherwise you’re diluting the quality of doctors. I know some people at a major 4 year university who would love a med school partly because of the tidal wave of research dollars. But setting up a med school, especially when your university has no attached hospital, is so incredibly difficult as to possibly derail the rest of the university’s agenda. “Why is there no shortage of chiropractors?” Because very little of chiropractic is medically proven. I prefer spending money on things that work, and I’ll best most Americans are the same way. I support your right to purchase ineffective treatment, but I oppose proposals like this that would legitimize it. “For an average stay in a hospital, fifty to seventy-five percent of the charges are due to administrative costs.” No freaking way. One of his few concrete examples is “big, expensive” computer systems that are disproportionately expensive for little firms. As an IT professional, I can say this is categorically false. True, larger firms could have lower per capita IT costs, but that’s how almost anything works with efficiencies of scale. “Three: Eliminate State Mandates and Regulatory Barriers on Health Insurance” Supposedly conservatives believe in the 10th amendment. Now reversing this stance? Sorry, can’t have it both ways. If you don’t like the policies, fight it on the state level. Don’t propose a whole new federal program. “Four: Give Health Care Providers A Tax Credit For Charity Work [people who don’t/can’t pay for medical services]” Huh? Since when can’t businesses deduct losses? “Restore the 100% Deductibility of Health Care Expenses” We already have that for the most part. Premiums are not taxed, and FSAs and HSAs fill in most the rest of the gap. It’s not perfect, but it covers a lot of the expenses for smart planners. And any amount spent over 7.5% of your income is deductible. “Seven: Repeal the Kefauver Amendment” Most stupidity. This will legitimize ineffective drugs and drive up health care expenses for everyone. Say “hello” to insurance rate increases so it can pay for Dr. Simpson’s Healing Tonic snake oil! “Eight: End the FDA’s War on Nutritional Supplements” The war is against quackery, like Linus Pauling’s vitamin C megadose hogwash or harmful supplements like ephedra. Research is increasingly questioning the benefit of vitamin supplements. Also, our bodies are programmed by millions of years of evolution. The vast majority of us run fine on a balanced diet. There is no supplement concoction that makes a night-and-day difference in quality of life for the vast majority of humans who eat a reasonable diet. Furthermore, he is using a straw man argument. There is no FDA campaign against vitamins C and E and selenium, but yet he invokes exactly that concept in the next paragraph. “Nine: Remove Government Restrictions Regarding the Importation of Foreign Drugs.” Guess where much of their drugs come from? There’s a reason it’s called “RE-importation.” And there’s not an infinite supply. If we seriously pursue this strategy, all that will happen is countries will prohibit drug exports to the US to preserve their cost structures. We need to instead examine and address problems with US drug policy that allows a 2-tiered system where we pay far more for drugs than the rest of the first world. So let me loop back: should we allow importation of safe, effective drugs? Yes. Should we say it’s the fix to our excessive prescription drug costs? Heck no. We have to address the problem at its root. “Ten: Allow the Purchase of Non-Controlled Medications Without Prescriptions” OK, this is about the dumbest idea in the stack. A great example is everyone will then start taking antibiotics without cause, and we’ll end up with a sicker population and more multidrug resistant bacterial infections. Oh, and health care costs will go up. This is remarkably ignorant from a guy who claims to have a PhD. If http://www.databasepublish.com/blog/presentation-scaling-drupal-enterprise represents Drupal’s enterprise thinking, Drupal doesn’t “get” enterprise. It’s security model is stuck in a departmental model. At my work, we looked into an enterprise Drupal calendar, but we passed because it requires fantastic workarounds just to roughly approximate enterprise security. Manageability is improving with the Aegir hosting system, but this just simplifies base management tasks. Enterprise Drupal is still a collection of discrete, departmental-class web systems, each of which has substantially independent configuration. Do we really need Move Over Laws? If cops didn’t do traffic stops in safety-challenged places, would we even need “move over” laws? 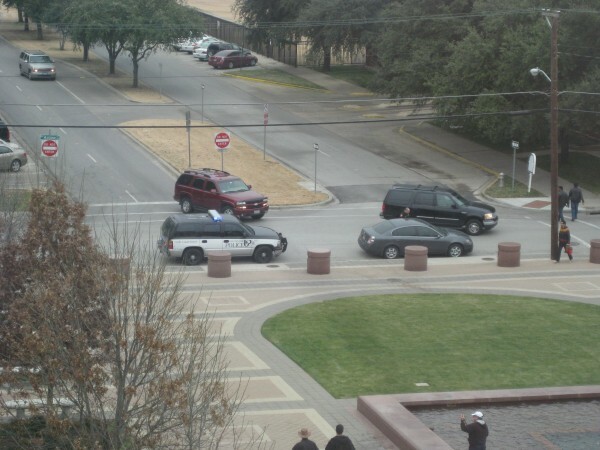 This University Park, TX cop did a traffic stop in the middle of an intersection! Posted on January 14, 2010 April 10, 2014 Categories Traffic Safety2 Comments on Do we really need Move Over Laws? The Texas Railroad Commission and WFAA channel 8 may be scapegoating Atmos Energy, Dallas’s natural gas provider, for house explosions it probably didn’t not cause. The state blamed Atmos for a May 2009 Irving home explosion. Tonight, Brett Shipp, a WFAA reporter, all but blamed Atmos for a November 2009 Mesquite home explosion. The theory is that deteriorating “Normac couplings” in buried gas distribution lines are leaking the fuel, causing these explosions. In the Irving case, the state blamed a leaking fitting “under the street.” Yes, as in more than 20 feet away from the house. Natural gas is lighter than air. It goes up as quickly as it can. That means it’s not going to travel sideways through dirt into someone’s house. Also, it dissipates rapidly like any other gas, like a poofy cloud. So any gas that could reach the outside of a house from a buried line would be faint. The state’s theory probably breaks several laws of physics. That wisping gas would have to travel laterally from this coupling, in a focused vector, through a yard and through a concrete foundation, and accumulate in a house. The Mesquite situation is similar. The WFAA cameras clearly showed a gas meter all the way by a fence. And Google Maps Street View shows that the gas lines are in the alley, separated from the house by many feet and a wood fence. (Picture of the next door neighbor’s gas meter in the alley–the exploded house is at 2505 Catalina.) These allegedly faulty couplings would be in lines buried under the alley, at least 20 feet from the house! I don’t buy that Atmos exploded this house. I think something was wrong inside the house; that’s the homeowner’s responsibility. It’s irresponsible for WFAA to tar Atmos Energy for this. Why does this matter? WFAA is campaigning for Atmos to replace tens of thousands of these Normac couplings. Maybe they leak more than ideal, but I have yet to see a convincing case that these couplings routinely cause imminent danger. Furthermore, the cost of replacement is tens of millions of dollars. Guess who pays that? You and me, gas customers! So basically WFAA is campaigning to jack up our rates to fix something that may not be a problem.